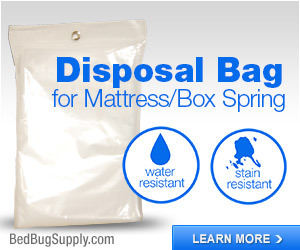 There are not a lot of reliable ways to kill bed bugs and eggs in your belongings. Heat is one of the best. 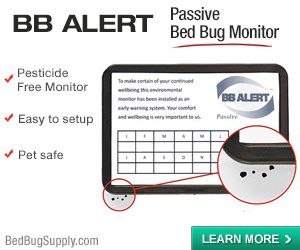 And the launch of the Packtite back in 2008 was nothing less than revolutionary for a lot of bed bug sufferers, allowing them to reliably treat small items themselves. 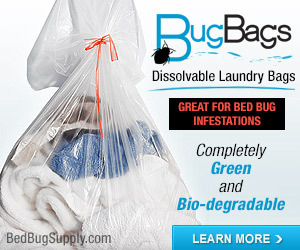 Old timers around here will remember how much more common it was, pre-Packtite, for people to toss out beloved items, to panic about not being able to get bed bugs out of their shoes and hats, or to talk about sealing everything in bags for 18 months. The Packtite changed all of that for a lot of people. However, up to this point, only those in the US have been able to get their hands on one. Now, we’re very pleased to tell you that the new Packtite Closet is now available for shipping, both in Canada and in the United States. (In the US, it joins the original Packtite). The Packtite Closet carries CSA electrical certification. That cheerful red object is the new heating/blowing unit. The Packtite Closet is 36 inches long 34 inches tall and 18 inches wide, however this is before the blower/heater combo is attached. When hot air is blown into the unit it actually inflates and thus increases the size inside of the unit to 40 inches long 36 inches tall and 30 inches wide. The unit comes with a bottom shelf and clothes rack for hanging items of clothing. It can treat all the same items as the Packtite. Because of the ability to hang up clothing and the increased air circulation provided by the blower/heater, treatment times are greatly reduced. We recently had 50 hung up items get to temp in right around 2 hours. The entire rack inside can be removed so the unit can be broken down to as small as folding up the bag will allow. 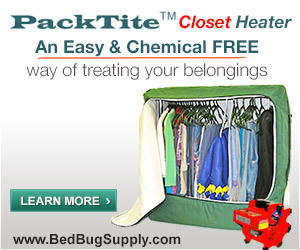 The new Packtite Closet is available now at $565 US with free shipping from Bed Bug Supply in the US (pricing as of 1/2019). 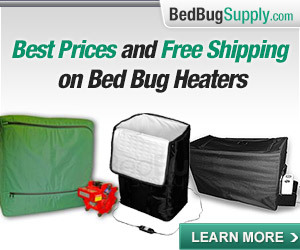 Bed Bug Supply ships to Canada also. 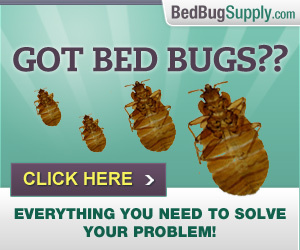 These links and the banners for Bed Bug Supply which you see on Bedbugger.com are affiliate ads — shopping through these links helps support the site at no additional cost to you. Please see our Disclosure Policy for more on that. For many users, The Packtite Closet provides many improved features which will make a big difference. 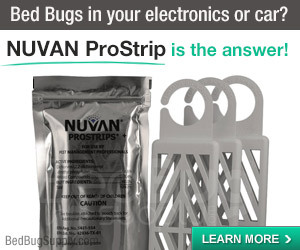 The ability to treat items on hangers, even while also treating a suitcase, and the possibility of killing bed bugs in more stuff at once, will be very helpful time-savers to those who are using the device to get rid of bed bugs in their stuff during a bed bug crisis at home, as well as for travelers returning home from a trip with multiple suitcases and other items. You may also want to consider using Thermaspot sensors to verify your heat treatment (using Packtite, dryer, etc.) reached required temperatures of 120F. 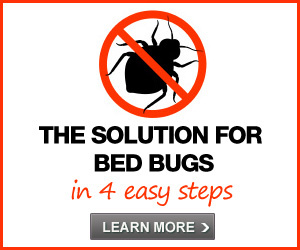 David Cain of Bed Bugs Ltd. has now tested a Packtite Closet and provided us with the helpful video below. He even carried out these tests while answering questions in the Bedbugger Forums. Is that dedication, or what? Warning: David kills bed bugs in an empty Packtite Closet in 20 minutes. 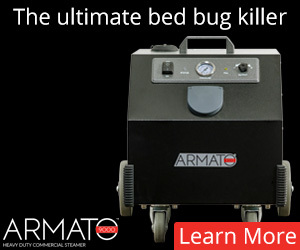 Unless your hobbies involve placing bed bugs into small containers and baking them, alone, in a Packtite Closet, it will take you longer to kill bed bugs. “Stuff” — whether it’s clothing, linens, shoes, books, or papers — is insulation. Use temperature probes and the manufacturer instructions provided with the machine and in the other videos above. Pay attention to how densely your stuff is packed. As the videos above should make clear, a few shirts hung on the Packtite Closet bar will be done much more swiftly than many shirts packed in the same manner. With that out of the way, here’s David Cain. Oh joy, oh rapture, oh when will Packtite products be available in Europe? Packtite should be available WORLDWIDE. This is a worldwide probelm and not just the USA as we all know. I have been planning to buy a Packtite for some time now so as to be proactive as in this day and age you can never be too safe or too prepared. I have read customer reviews in the past that had certain complaints ranging from the original Packtite heater either shutting down or even in some unfound cases that the heater actually melted. Now this new Closet Packtite has a seperate heating unit attachment…..although I’m sure it will cost more than the original Packtite, it will be a lot more dependable than the original model. As the world waits for the hopefully eventual Silver Bullet, this new Packtite item along with the many other inventions created in the last few years will be of great use. I hope Packtites are soon available worldwide. However, I understand that meeting the individual requirements of various countries in regard to electrical products is not a quick process. As for problems you mention with the current (black) Packtite’s design, that’s surprising to me. 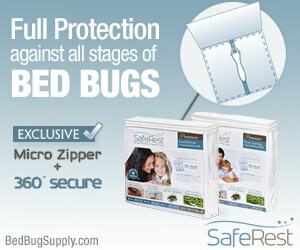 We have had very many people talk positively about their Packtites on the Bedbugger Forums. I can recall a few who mentioned experiencing a technical problem, and in these cases, my impression was that the manufacturer rushed to make it right. You are right, I was basing my statements off of a mix of customer reviews from the last couple of years, and YES, from what I’ve read, Stern Environmental has always obliged in fixing customer issues with the original Packtite. Overall, the original Packtite has great reviews and I would be confident is using it myself. But the fact that this new Closet model is a little bigger and has a white interior (easier to spot dead bugs) plus the fact that the heater is placed outside (psychologically makes me feel better about safety) are some of the reason why I have held off on purchasing the original Packtite. Thanks for bringing that to light nobugsonme, I wasn’t aware that I inadvertantly discredited the manufacturer whom I have the utmost confidence in and I am also very anxious to equip my home with this Closet Model! I can’t wait! Too cool! 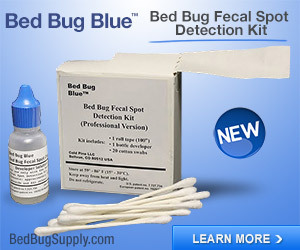 Just to clarify things, you may have seen the Packtite on Stern’s website, but they were simply marketing this product. The manufacturer is David James, a common presence on our Bedbugger Forums, and the conversations I refer to were all there. Oh goody. I just dreamed up a packtite closet, and behold, here is it. Love the white interior…Love the size, love the external heavy duty blower/heater…and the hanging rack! I have to say, the only downside I can see is it still will not accomodate long clothing…packtiting long clothing produces wrinkles, which sometimes can’t be gotten out again. Yay for David James and co..
Photo at top, following the words «It looks like this:», showing the unit with the heater to the front/right of it, needs some size comparison object in the photo, or a person or whatever. Dimensions are given right after the photo, but it means I have to go look for a ruler or whatever and mentally calculate/compare, and saps what might otherwise be the drama of the photo – “hey look how big that is”! jrbtnyc, give me a litte love here, after all, I made the inside white just for you :). We will get some scale photos as well. In this case, the videos below may give you a better sense of proportions. djames1921, next time you’re in NYC can I get your autograph? Lol. 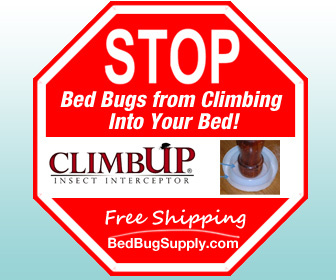 You should come to the Chicago bed bug summit, I’ll be there along with hundreds of other people with products who probably need advice on color choices :). Aha DJ, be sure to point out additionally that based on the PackTite Closet’s measurements when inflated of 40 inches by 36 inches by 30 inches, that means it’s going to be able to hold just about every kind of household and office CHAIR, isn’t that correct. Few of those can fit in the regular PackTite. 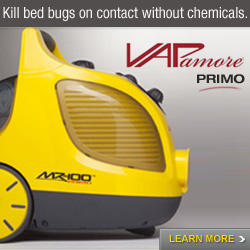 So this is a terrific advance, in addition to its being able to hold suitcases. Furthermore, chairs being structurally open objects means they should be doable in a relatively short time, isn’t that also correct? With the possible exception of cushiony chairs, they don’t have many deep recesses the hot air needs to penetrate, it would seem to me. So maybe as little as one hour in the PackTite Closet should be entirely sufficient for a majority of chairs? 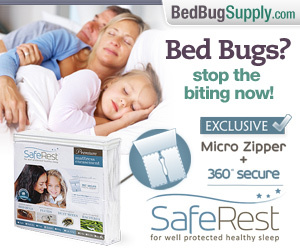 Perhaps you’ll want to address the chair aspect specifically here on bedbugger.com and in your promotional materials. 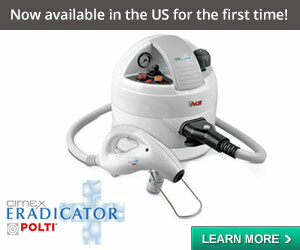 See update above (direct link) with a video of David Cain (in London) testing this product. Thanks for clearing that nobugsonme : ) David James is a big part of leading us to the light in the tunnel one day! I am guessing that if you have very long items that you want to hang in the Packtite closet you could try hanging the item on a hanger in the usual way, and then draping the excess part of the garment onto the bar of a pants hanger and then hanging this 2nd hanger next to the first hanger. I’ve actually tried this in the regular original Packtite but it only worked on mini dresses since the original Packtite is rather short! I can’t wait to get my hands on the Packtite Closet! Does the PackTite Closet weigh more or less than, and come in a larger or smaller box than, the original PackTite. For instance if someone acquires a PackTite Closet and then loans it out to someone else who isn’t big and strong, would the latter person be able to take it home conveniently, single-handedly, on the subway or on a bus as was possible with the original PackTite. i would buy one if it were available in germany! have brought bb home from brighton, second heat treatment this week, looks like we might have made it… still with me being a frequent traveller, i think i ll need a packtite (or a sauna at home)!